When we think of Community at Saint Dennis we think of getting involved in the world – both inside and outside the Parish. From mission trips to Belize to getting involved in the Boy Scouts, the community building at Saint Dennis is broad and wide. Please take a moment and review various community listings to see if you can find something that appeals to your interest in reaching out to the wider community. The Community Action Commission, originally called the Social Action Commission, was formed in the early 1970s and provided a variety of services to members of the community. The purpose of the Commission is to serve the parish by establishing hospitality, fellowship and good will in serving the needs of both our parishioners and community, and to provide opportunities for parish members to serve by meeting the needs of the infirm, aged, disadvantaged or underprivileged of the parish and the community at large. The Commission is comprised of SHARE and Community Outreach ministries and currently includes over 20 committees and more than 400 volunteers. For more information about the Commission, please contact Kathy Saunders (link to ksaunders@charter.net) at (608) 222-9558. Our SHARE (Serving Helps Another and Reaps Enrichment) program is comprised of 14 groups that serve the needs of both individuals and groups of parishioners. SHARE provides much satisfaction and joy to not only those being served but to those providing the service as well. 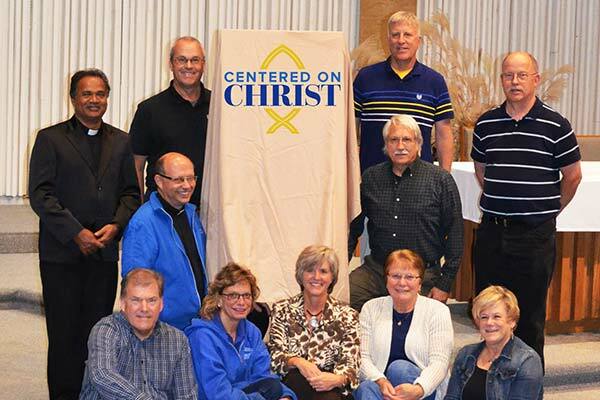 These ministries provide many fund raising activities for the church – its members and the community at large. The primary focus of Community Outreach ministries is to provide parish members an opportunity to be proactive and involved in activities promoting Catholic Chrisitian values within the community in which we live. All of these programs provide much needed resources and personal contact to those in need while at the same time enriching the lives of those who volunteer. EXCEL of Mississippi is a nonprofit community service corporation that offers educational and community programs. Visits are made yearly by a group of Saint Dennis parishioners in June. The volunteers assist with special classes and field trips for children; help in the resale store and perform construction and repairs as needed. Members of Saint Dennis donate food as well as serve and share a community meal at Luke House the fourth Thursday of every month. Focus on life issues education and charitable support. Includes coordinating volunteers to sell roses on Mother’s Day weekend with donations going to Dane County Right to Life. Members of the Conference assess the needs and provide food, clothing, home furnishings and other assistance to individuals and families. Saint Vincent de Paul also collects clothing and other small items in spring and fall, picks up donated furniture, collects blankets in January, conducts food drives in March and September, and solicits contributions in November to aid with partial rent and utility assistance and other services of the program. This group promotes religious, educational and charitable activities for the benefit of women, families, church, school, religious education and community. There are a variety of organizations that receive special attention at Saint Dennis. From Boy and Girl Scouts to Knights of Columbus, parishioners get involved in a variety of activities that share the same values as Saint Dennis Parish. With the approval of the Most Reverend Robert C. Morlino, in March 2013 the Apostolate to the Handicapped announced the award of a grant of $2,500 to Saint Dennis Parish for the Interpreters for the Deaf. Saint Dennis Parish has offered a ministry to the deaf community for almost 10 years. Five interpreters alternate signing during the 9:00 am Mass each Sunday. An interpreter is also provided at Faith Formation classes, GIFT and on Holy days. This ministry serves about 20 people from throughout the East Side of Madison, some of whom drive 45 minutes to attend Mass at Saint Dennis. This grant will help us continue this service and we are grateful to the Apostolate to the Handicapped. The Apostolate to the Handicapped has offered love, care, and compassion since 1967 for disabled persons. For more information about Interpreters for the Deaf, please contact Pat Hendrickson.